Discussion in 'Education, Learning, Books' started by JokerCrazyBeatz, Jun 16, 2016. So after just finishing "TMFL" today i was on the hunt for more literature to stimulate my entrepreneurial mind . At first i was going to purchase "Cashvetising" (which i should have) but they only have the physical copy and i wanted something i could purchase from iBooks. So anyway i looked on my list of 100 books entrepreneurs should read and came across "I Will Teach You To Be Rich" now ive heard of Ramit b4 and people like to give him credit for being a great email list guy Plus it had the "New Your Times Best Seller" sticker on the cover. So i was like F*ck it i might be able to learn a few things from this book. Dose anyone know how to refund a purchase on ibooks b4 they charge you? Im deff going digging in the forums for a REAL book for entrepreneurs , I just wanted to place this rant here for anyone thinking about purchasing this book. DiemTrader, mammoth_hunter, Bytesunfish and 1 other person like this. You could read it and pull what is useful and discard what isnt..
csalvato, jpanarra, nichiseven and 7 others like this. That's one of those guys living the fastlane selling the illusion to the poor bastards out there. Ask for a refund. mayana, DiemTrader, hellolin and 6 others like this. Nemolein, Late Bloomer, netgains and 12 others like this. Ramit provides A LOT of great content in his website. He is actually pretty good. Yes, but he teaches slowlane for people who want a better job and all that. 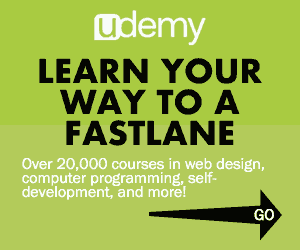 He also teaches fastlane for people who dont want a job. He is cashing on all the market. BUT his content is actually high quality. You can learn a lot from it. HotRocket, The Racing Driver and quanttastic like this. 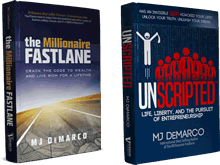 The principles of I Will Teach You To Be Rich are completely applicable to the Fastlane - he is just addressing it within a slowlane mentality. His systems for automatically paying your bills and saving money are solid and totally outside of fastlane vs slowlane. Late Bloomer and quanttastic like this. You are saying there was not one single thing in the entire book that you found or will find useful??? THAT is slowlane thinking. All knowledge is useful. A tip or bit of knowledge can be found in almost everything. Go back through. What was one thing that you learned from the book? Late Bloomer, nichiseven, Bytesunfish and 3 others like this. Careful to discard people just because they don't fit with what you think is right. You dont want to miss a piece of knowledge that could catapult or save you years down the road. Late Bloomer, BeFound Faithful, nichiseven and 2 others like this. juggler619 and Kingmaker like this. If you read it, you may find a couple of useful bits of information you can utilize like others have stated. Or you can use it as reference of what "not to do" and learn from what someone else has already done. Then you gain information that way. Try thinking through a different perspective. Ramit is honest about what he teaches. IWTYTBR is for people in the slowlane, working jobs, furthering their careers... You know.. the other 99% of the population. One of the reasons I don't contribute here as often is wantreprenewbs with superiority complexes. netgains, blueoceanblues, 5holiday and 2 others like this. @Sanj Modha See? The idea is catching on! Someones on my Ign4 list. juggler619, nichiseven, DrkSide and 3 others like this. I don't think his book is bad advice necessarily...his systems approach and use of psychology is good. He has definitely moved on from the tactical financial advice to the more strategic view. He is one of those guys that you can learn a lot from just observing how he sells (webinars, e-mails,etc....) rather than what he sells. Never read it. Never will. MotiveInMotion, jasoncuellar123, Kingmaker and 1 other person like this. When I read the title, I was expecting @Vigilante to be the OP. Side note: I've just discovered why people don't use the acronym TS instead of OP. I disagree. Reading 800 pages of content that you don't believe in is a huge waste of time vs reading 10 pages of content that you'll actually trust, test, and apply. mammoth_hunter, Andy Black, Bytesunfish and 5 others like this. Late Bloomer, MakeItHappen and Raoul Duke like this.